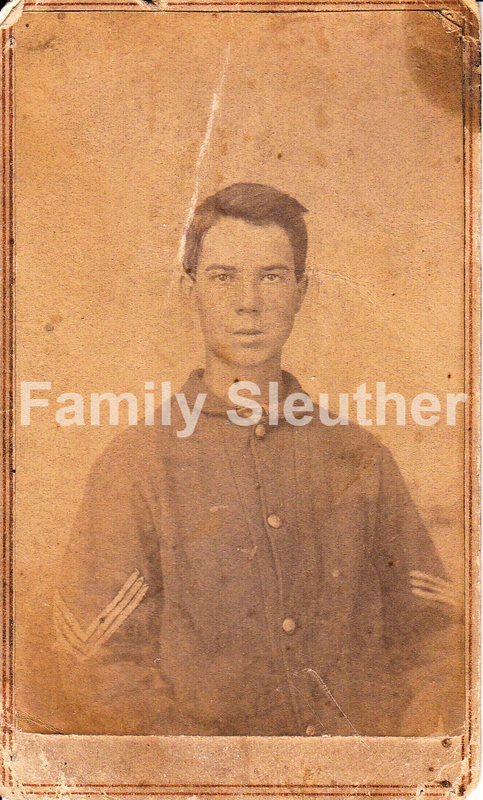 Family Sleuther: Ancestor Photograph Hunt: Have You Seen Us? 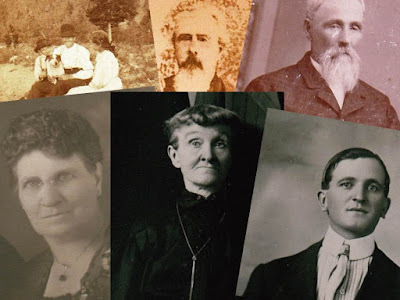 Ancestor Photograph Hunt: Have You Seen Us? In September 2013, I wrote about my direct ancestors who lived well into the age of photography yet I have never seen a picture of them. With the first selfie being snapped (or slowly exposed) in 1839 followed by the technical evolution and widespread ability to capture the actual human form, I must have a handful of distant ancestors whose image was captured on film, paper, metal or glass. Currently, the oldest portrait of a known director ancestor in my collection is of my third great-grandfather Albert Benedick. The picture was taken at the time of his enlistment in the Union Army in February 1865 - just before the War's end - and shows him decked out in his ill-fitting uniform. He was just 15 years old (unless Uncle Sam's asking, then he was 18!). My oldest ancestor (that is to say, born the longest ago) to be photographed was my fifth great-grandmother Catherine (Shaull or Schall) Rosenberger who was born September 8, 1792 (according to her headstone). She and her husband, John Anthony Rosenberger (born in 1794), sat for a portrait in the 1870s. "It is natural to be curious about the physical appearance of an ancestor when a photograph is lacking; therefore, the sentence from a letter by Susan to her brother John [Anthony] is particularly interesting. 'Nothing would give me more pleasure than to receive your picture as you are the living counterpart of father and we have no likeness of him.' The photo of John Anthony and his wife Catherine may have been taken to comply with Susan's request. At least it seems reasonable to conjecture that John's and Catherine's ages when the photo was taken fit the time period between 1870, when the letter was written, and 1876, when they died." Did other family sit for portraits? Are photographs out there waiting to be found? In 2013, my assembled wish list of ancestral grandparents included 19 individuals who lived well into the age of photography, but whose faces I had never seen. Surely they had stepped into a photographer's studio at some point, right? And it wasn't totally unreasonable to expect that some of those photos survived and were out there - perhaps in distant cousins' albums - waiting to be discovered, right? I'll concede that some of them never sat for a portrait. Perhaps the newfangled technology didn't appeal to them or was outside their budget. Maybe it wasn't accessible to them since some of these ancestors passed away in the 19th century before the advent of portable personal cameras. However, not all of my unseen ancestors were antiques. Several of my 19 wishlist ancestors are known to have sat for photographs. I have a letter from a now-deceased cousin who wrote of having seen portraits of two of my fourth-great grandmothers: Mary Ann (Miser) Benedick (died 1901) and Sophronia (Rogers) Dornon (died 1872). But where are those pictures? Who inherited them? aunt affirming the existence of ancestor photos. Another grandmother (this one a fifth-great) wasn't even on my September 2013 list. It wasn't until the following year that a textile researcher contacted me about Jane (Cox) Hadley asking if I had inherited any of her weaving patterns or drafts. I had no idea she was an acclaimed weaver and was intrigued, but you can imagine how my ears really perked up when I read a 1979 Interweave article about her work that included a quote from her great-granddaughter, who remembered, "a picture of her as a plain, firm looking woman dressed entirely in black." Jane died in 1880, but before she did she managed to make a Kodak moment. Now where's it stashed? The list of sought-after ancestors has changed during the nearly four years since I wrote that blog. A previously unknown Non-Paternal Event (or Not-The-Parent-Expected), introduced an entirely new cast of patrilineal characters into the play of me and removed others. Within the past couple years, my outreach to my new Kirk cousins helped me procure photos of my paternal great-grandfather and his parents. It was a happy result on the heels of an unexpected surprise. William and Nancy (Weeks) Kirk at left and their son Samuel Kirk (right). There have been other successes, too. Some were surprises like my fourth great-grandmother Nancy Mariah (Barron) Winkler. When I made my initial list of photographed ancestors, she wasn't even in my tree. I'm glad she was added because I subsequently connected with a distant cousin who shared the new-to-me photo. Lots of detective work, boundless optimism, persistent outreach, wonderful cousin connections, and, yes, a whole lot of luck, culminated in me finally locking eyes with six direct ancestors who were on that original list. These are folks whose DNA makes me me, and who, without any one of them, I wouldn't exist (now that would be an existential crisis!). Each of these discoveries were incredibly rewarding finds, and I'm immensely grateful to the family that helped find them. A photograph has this uncanny ability to make genealogy (dates and places) into living and breathing family history. There is, of course, more work to be done. 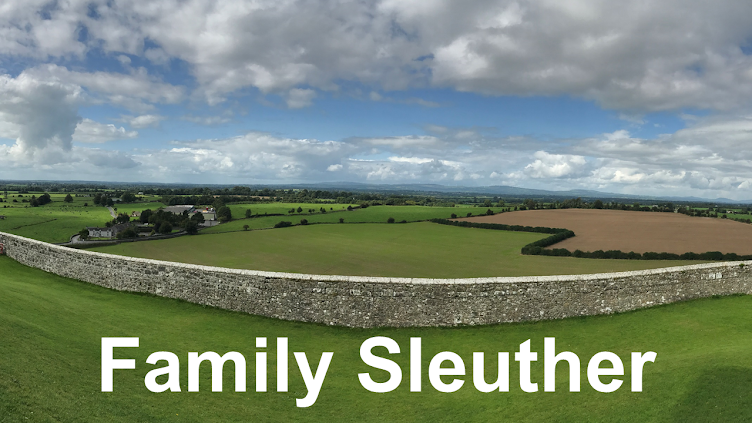 My list is updated to include ancestors who lived deeper into the 19th century (currently using 1880 as my starting point). Sure, it's ambitious, but I don't want to risk overlooking a treasured heirloom. So, [in your best Robert Stack voice] if you have information on the whereabouts of photographs of the following individuals, please contact the proper authorities (me) at FamilySleuther@gmail.com. I have longed for a photograph of my mother's maternal grandfather. I even took photographs of his children and made a composite, trying to guess what he looked like. I have photographs of all my other great-grandparents and some of my great-greats, but the one I wish for the most is my great-grandfather Joseph Brotman. We just want to see their faces, don't we? I like the idea of making a composite of photos of his children. What are the odds that a photograph of him exists, do you think? I'm hoping good! I have a photograph (really a tintype) of a woman who I believe is one of two ancestors on my list, but it's unlabeled. I tried your composite idea to see if I could discern obvious physical similarities that would make it clear which ancestor it was - easier said than done and I'm still on the fence. One thing I've learned about using photographs to figure out who is who is that we all see what we want to see. Whenever people post two photos and ask whether they are of the same person, half the people say yes, half say no! I do not think there is a photograph of my GGF. I have been in touch with all of my second cousins, and no one has a photograph. I do have a photo of his brother, and by comparing it to the photos of my grandmother and her siblings, I have a vague idea of what he might have looked like based on distinctive features---round face, prominent cheekbones, etc. That may be the best I can do! Good luck with yours! #1- I love Robert Stack even though that show & its music scares me. 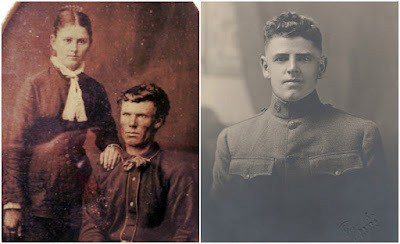 #2- I have a photograph of 2 different sets of Great-Great-Great-Great-Great Grandparents. Which I think is pretty impressive. #3- My photo archive is in the 1000's. From 1950's snap shots to 1860's tintypes. I have more photos than I can really handle. #4- In spite of my large archive, I still have a good sized "ancestor wish list" of photoless ancestors I hope to find pictures for someday. Some are very unlikely-- others I know must exist. #1 - Ha! Yes, there are a couple episodes that still scare me if I think about them. Different topic! #2 - 5th great-grandparents - wow! Two sets. Now that's fortunate and sounds like fodder for a blog. Were they born in the 1700s? #3 - Do you scan and store them digitally, too? That's the only way I'm able to have any semblance of organization. And do you know the identities of folks in your tintypes? Yes! Two sets of 5x Great-Grandparents. They were born in the 1770s & 1780s. One stayed in the ancestral lands of Connecticut, while the other left Maine in early 1850s and came to Iowa. Someday I'll get a blog posted about them! I only have maybe 5% of my photos scanned. I just bought a new scanner over the Holidays & hope to get scanning this year. It will be slow. Very very slow. Yes. I know some of the tintypes, but I have a bunch of unknowns too. One whole album of unknown tintypes actually. It's a pity. Good luck with the scanning. It's mind-numbing work, but a must for us preservation-minded family historians. I'll be looking forward to blogs about your 18th century ancestors. I have a handful of unknown tintypes and I have an inkling that they include a few of my direct ancestors. Sadly, I don't have a Ouija board so they can commune with me and slip me answers. Alas, I think they'll remain anonymous to history.